Dubrovnik Design Review We decided to get married in Dubrovnik in September 2013 and discovered Dubrovnik Design when researching our options for the event. Antonija was our main contact from the beginning and covered every aspect of our planning with precision. We exchanged numerous emails (too many to count) discussing various details in which Antonija guided us through all preparations. She made recommendations and provided her personal opinion on any questions/queries we had. We were given unlimited information on venues, accommodation, decorations, meals, hairdressers and beyond with nothing being too much trouble. Antonija responded very quickly to any queries and was always sure to keep us updated with any progress with bookings etc. When we arrived in Dubrovnik, Antonija and her colleague Ivana met with us (a few days prior to the wedding) to discuss and talk us through all stages/bookings/legal requirements with the local registry office. They kindly guided us through the Old Town recommending restaurants, places of interest and made a booking for a beautiful restaurant for us to have a family meal the night before the wedding. The location of our tables was intimate and personal and was perfect for such a special occasion. They also arranged for a complimentary speedboat to take us to our venue at Villa Ruza on Kolocep Island and arranged a complimentary meal for us and our daughter to try the menu we would be having on the big day. The food and staff were fabulous. They were very helpful and gave us a tour of the venue, answered any questions we had. The skipper waited for us and took us back to the mainland after our meal where a taxi was waiting to take us to our preferred location. This added touch made us feel so special, it truly was very kind of Antonija and Ivana to make this special arrangement. On the day of the wedding (6th August 2014), Antonija and Ivana couldn’t do enough for us and our guests. 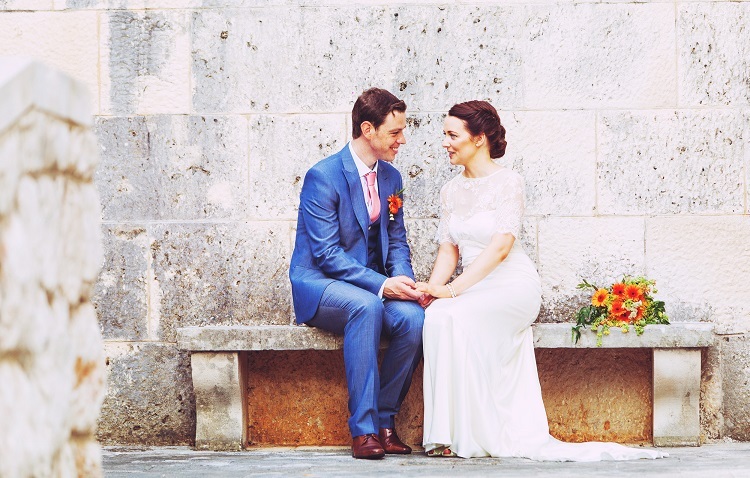 We were married in Villa Ruza on Kolocep Island so booked two boats through Dubrovnik Design. The boats were beautiful and of such high quality. The staff were also very friendly and helpful. Antonija and Ivana ensured that all guests were ushered correctly and we had 100% trust in them. Everything was co-ordinated to perfection. We had a string trio for music at our ceremony (also booked through Dubrovnik Design) and their music was amazing. Antonija and Ivana sourced our flowers which were beautiful and exactly what I wanted, I sent a photo of a bouquet previously. Villa Ruza was set up with all of our personal touches and the venue truly looked spectacular. Out photographer and videographer were excellent and made us feel so relaxed on the day when snapping away. We have just received our photos and absolutely love them. Our meal followed on from our photographs and none of our guests were disappointed. The rest of the evening was perfect, the cutting of our cake, speeches, dancing etc. We really couldn’t have asked for anything more and our family and friends were so complimentary of our wedding co-ordinators on and after the wedding. It can be daunting arranging a wedding so far away but Dubrovnik Design ensured our trust and gave us confidence in their expertise and they certainly exceeded our wishes. The day was perfect and I would highly recommend them. We will definitely be returning to Dubrovnik soon, it is a hidden gem ?